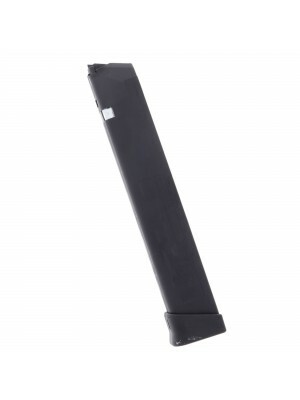 Built from blued steel with numbered witness holes and flat polymer baseplates, these Astra A-75 factory magazines are designed for optimum fit and function with your A075 pistols. 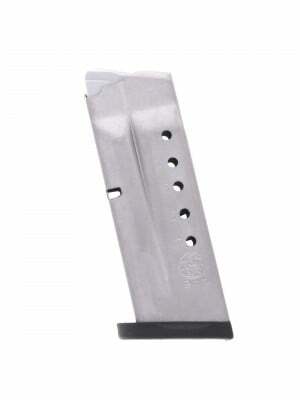 Inspired by the design of Sig Sauer pistols, Astra’s A-75 pistols are crafted from lightweight alloy with single-stack magazines, impressive reliability and solid craftsmanship—all in an impressively affordable package. 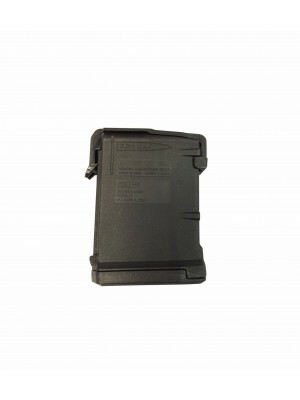 Surplus magazines are sold as-is, and some may show blemishes/scratches. 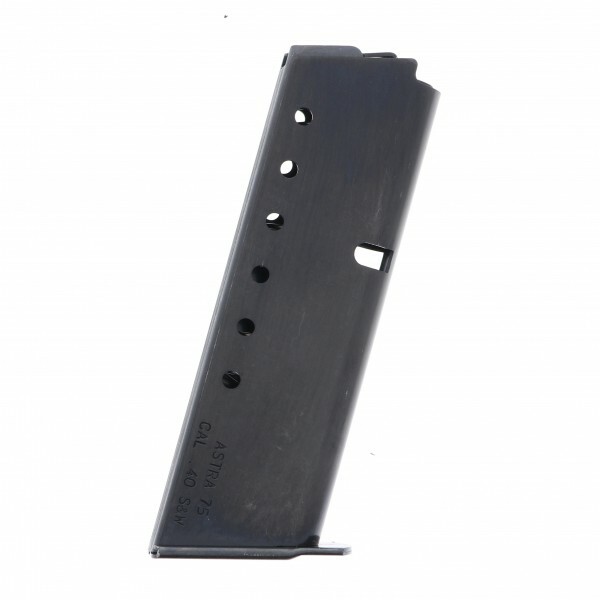 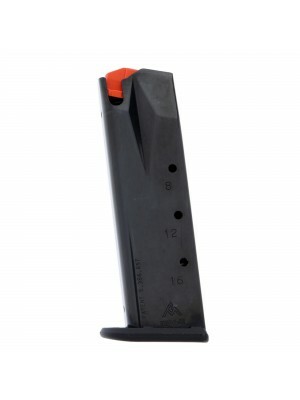 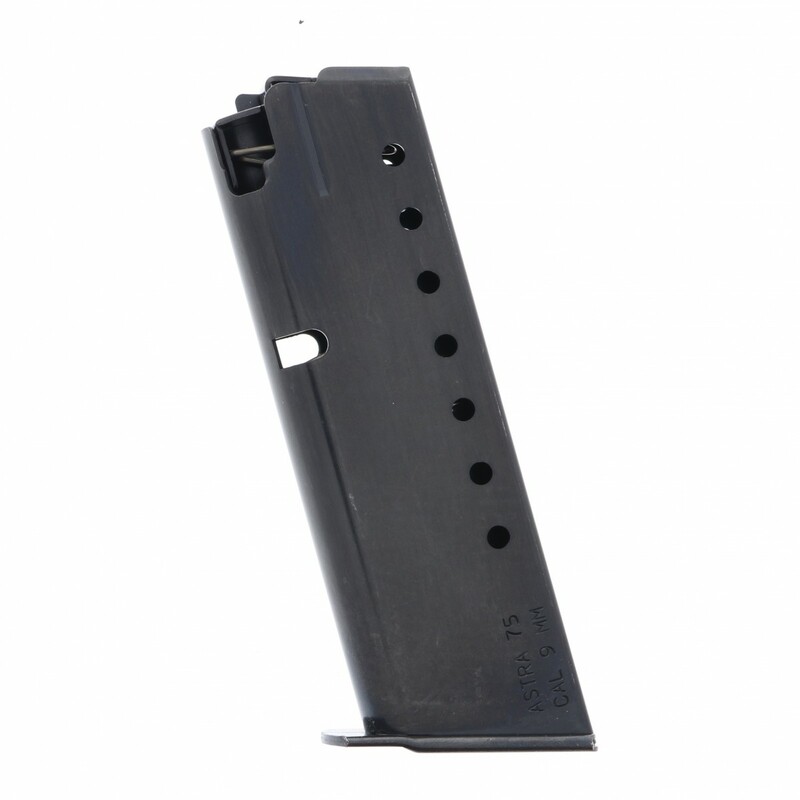 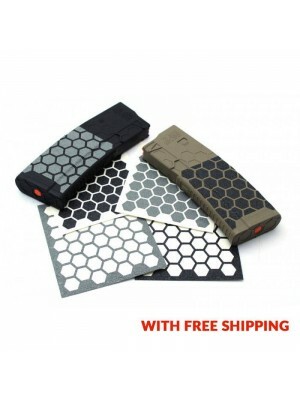 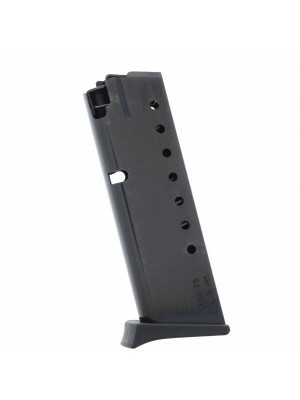 Pick up a few spare Surplus magazines for your Astra A-75 pistol today! 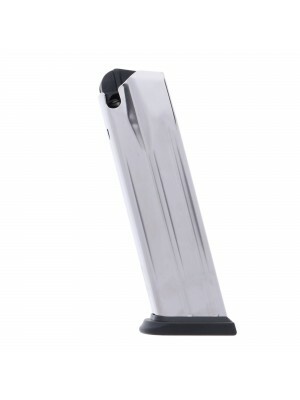 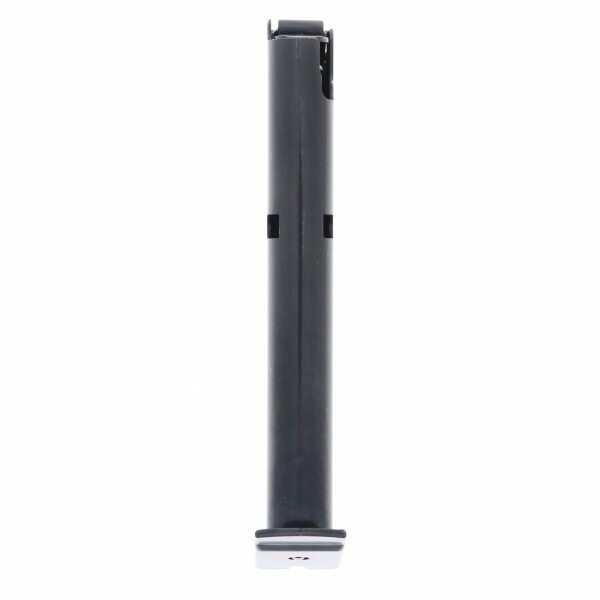 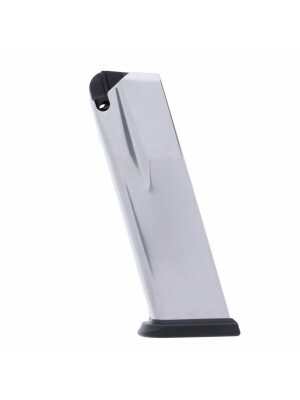 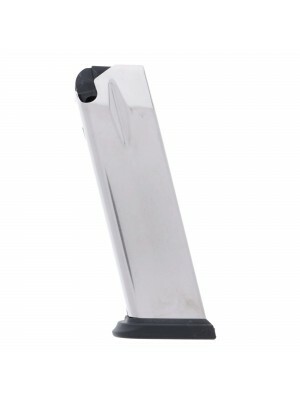 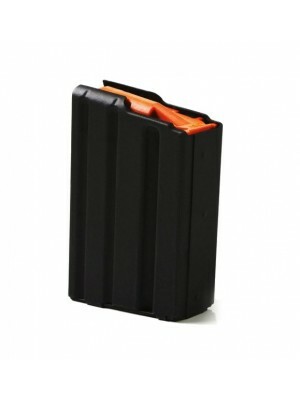 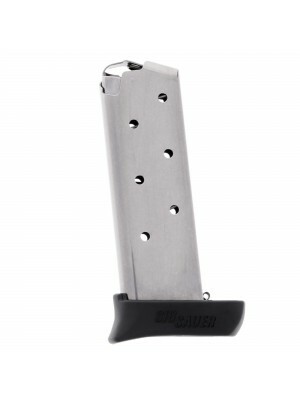 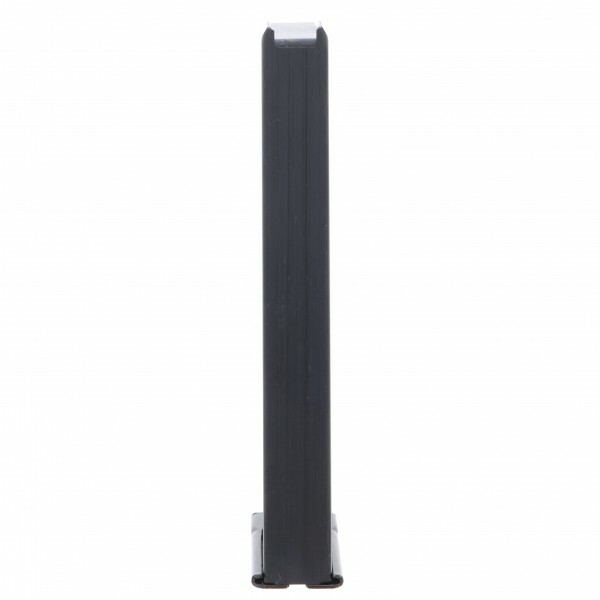 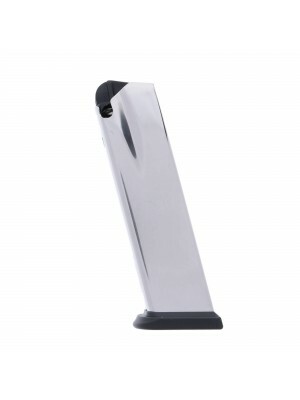 This ASTRA A75 magazine can hold 8-Rounds of 9mm or 7-Rounds of .40S&W.